It’s Time to Drink and Draw! Above: SEE YOU AT HOLMAN’S! Drink & Draw is hosting its first meet up of the spring term! Come join us at Holman’s Bar on southeast 28th avenue, Thursday, 4/18 at 7:30pm! Everyone is encouraged to bring their own drawing materials. See you there! Type A explores the personality of letters in relation to the shared personality of societies and demographics within those societies. By looking closely at letterforms, this workshop will help you to better understand how the shapes they’re made of has a profound affect on the way they’re read, and how the sounds letters represent effect the way they’re shaped. 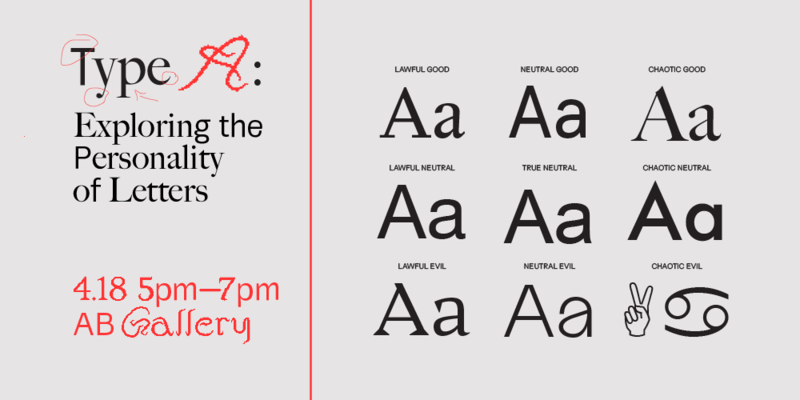 My talk will cover what an alphabet is linguistically, the ethics of type design, and how type choice can be used to elicit emotional reactions in audiences. 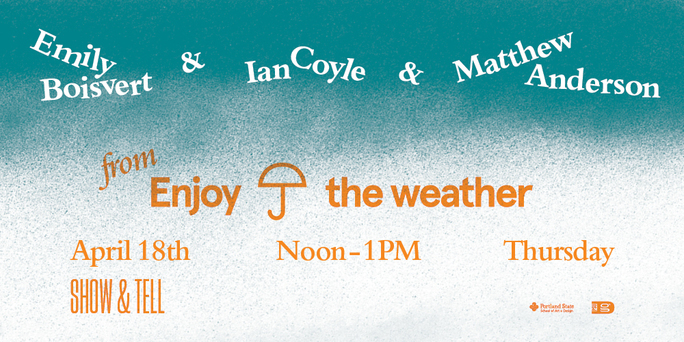 Above: Help us welcome Ian Coyle, Matthew Anderson, and Emily Boisvert from Enjoy the Weather! Noon! Room 320! Above: We are Here for You! Hey, sophomores! 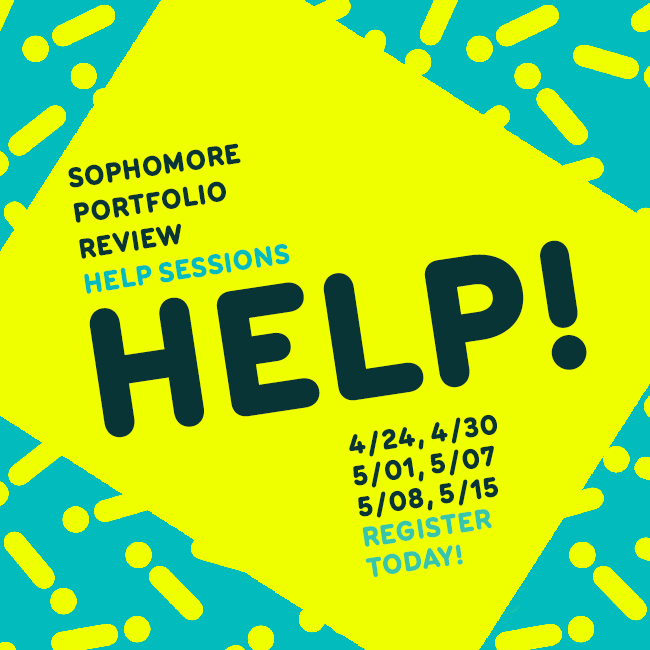 Julianna Johnson, Kate Giambrone, and Sean Schumacher will be holding a limited number of sophomore portfolio review help sessions in the upcoming weeks. Please sign up for a spot if you’re interested! Remember to bring your DARS and your PRINTED work for critique. Be five minutes early for your slot so you can get all your stuff prepped. When signing up, make sure to go through all the steps to confirm your time, and be sure to cancel if you’ll be unable to attend. Also, since space is limited, you may only sign up for one slot. We can’t wait to see all of your great work! Above: Let’s show off our program during Design Week! Save the date! April 9th we will be opening our doors to the Portland Design Community for our Design Week Portland Open House! We will be sharing work, demos, releasing the newest Annex Zine, grand opening of Creative Suite, Pop-Up Process, and the launch of our new zine library Pigeon Graveyard! 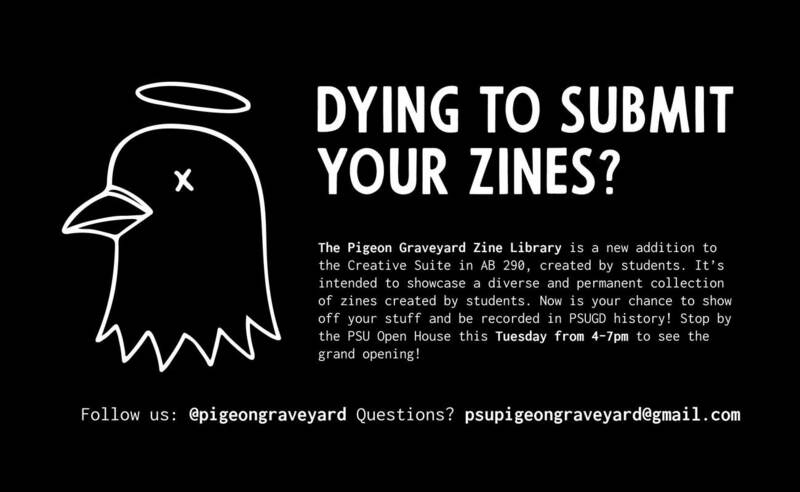 Above: Submit your zines to Pigeon Graveyard! 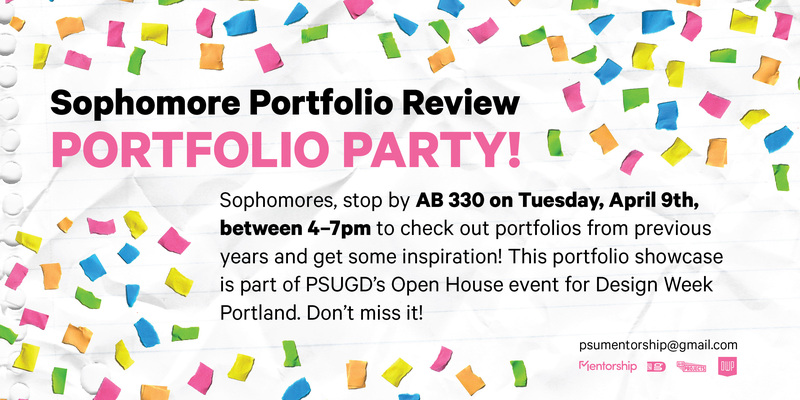 Above: Stop by AB330 on Tuesday, April 9th, between 4-7pm to check out portfolios from previous years! This is a great opportunity to get some portfolio inspiration (looking at you, Sophomores! 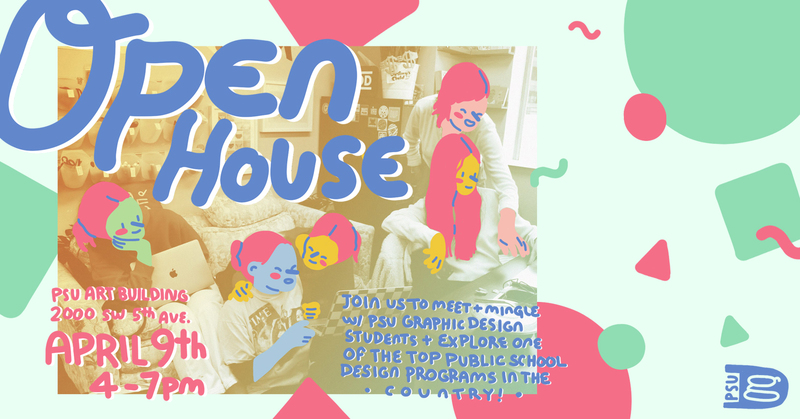 ), eat some snacks, and check out the rest of the PSUGD Open House during Design Week Portland.